Mechanical keyboards have gained popularity in recent years, but there is still a terribly under-served class: split mechanicals. 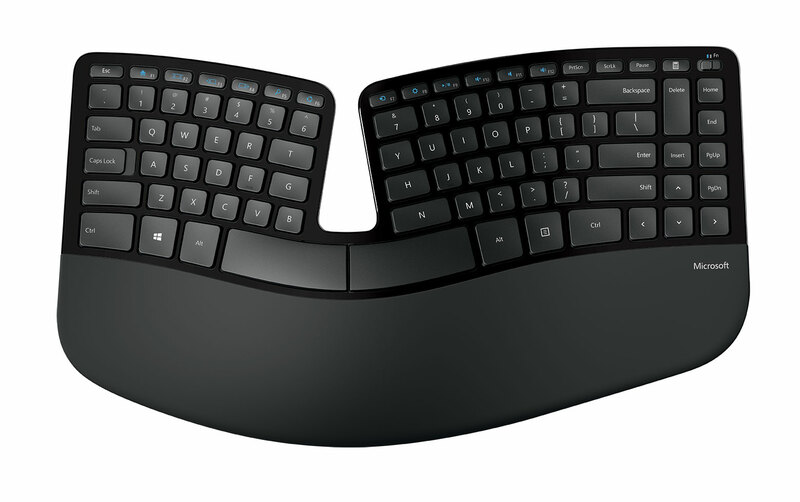 The $200 Ergo Pro is a rare entrant that I very much want to like. First the good: it feels solid and the switches are very quiet for mechanicals. Tragically, the rest is mostly bad. Some faults are minor matters of taste: first, Matias may have sacrificed too much for quiet switches. I like my switches clickier and with a more noticeable point of engagement, but they feel soft on the Ergo Pro. Second, dedicated cut/copy/paste keys just waste space. Slightly more problematic, it is difficult to adjust to some bizarre layout choices. I don’t mind moving the home/end/etc. cluster but isolating the delete key makes the arrangement more unintuitive than necessary. Next, right control migrated under the right index finger; it is easier to reach than normal and I almost like that choice. By contrast, the escape key has gotten much more difficult to reach. The horizontal face of escape actually slopes down toward the back, away from you, and it moved far to the upper left. I guess we know what editor the designers prefer. This choice is extra perplexing because they seem to have shifted the function keys rightward to make room for a proper escape key placement, then, presumably, forgotten to move the key. Pressing escape on this keyboard is the typing equivalent of outfitting an expedition to the north pole, crossing the key desert above the tilde mountains, trekking westward past the edge of where ordinary keys reside and finally pressing escape on your return journey. Nonetheless, after a week of use, I was beginning to adjust to the strange layout. I had to abandon the keyboard for other reasons. Keyboard manufacturers habitually call any split or curved keyboard “ergonomic”, ignoring all but one factor in the dance that is ergonomics. Despite being split and its name, the Ergo Pro is decidedly not ergonomic. It suffers a subtle but severe enter key misplacement: the enter key is in a straight line a full inch from the semicolon key. The Ergo Pro, however, does not curve the enter key toward to the right pinky, nor does it adjust the enter key inward. 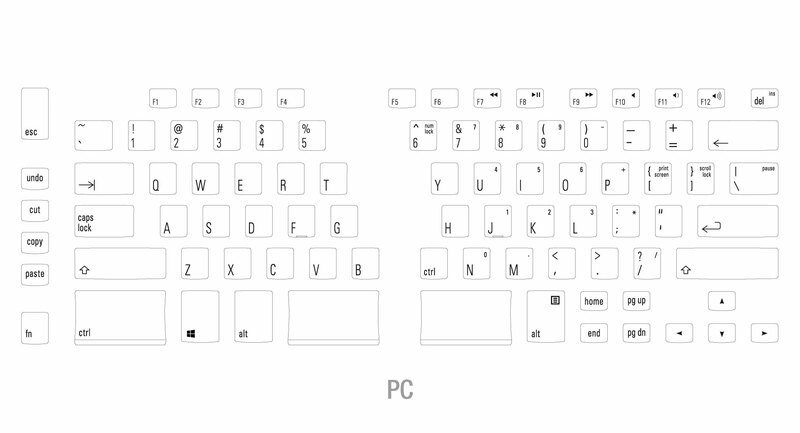 The Sculpt’s enter key is an eighth inch closer to semicolon, and closer the the palm by virtue of a curved row. In total, this pushes the enter key half an inch further from where my palm rests on the Matias keyboard than on the Sculpt. Since my pinky is only two and a half inches long, this is a whopping 20% difference that causes, for me, severe strain after only a week’s use. But isn’t this still better than the same difference on a straight keyboard? No. On a straight keyboard, the unnaturally outward curved wrists incline you to rotate your hands inward when reaching for keys with the little finger. Consequently, your outside fingers naturally move forward when needed. This reduces finger-overextension at the cost of wrist strain. A split keyboard straightens the wrists, meaning that the pinky has no assistance when reaching for the outer keys. Perhaps this does not matter if you rarely use the enter key, such as when typing prose, but I am a programmer so enter is my second most popular key. It probably didn’t help that I was using the Ergo Pro when developing Qwerty War. Though I wanted to love it, I had to abandon the Ergo Pro after a week due to crippling pain.